It’s 3rd October, this date is one important date in my life. 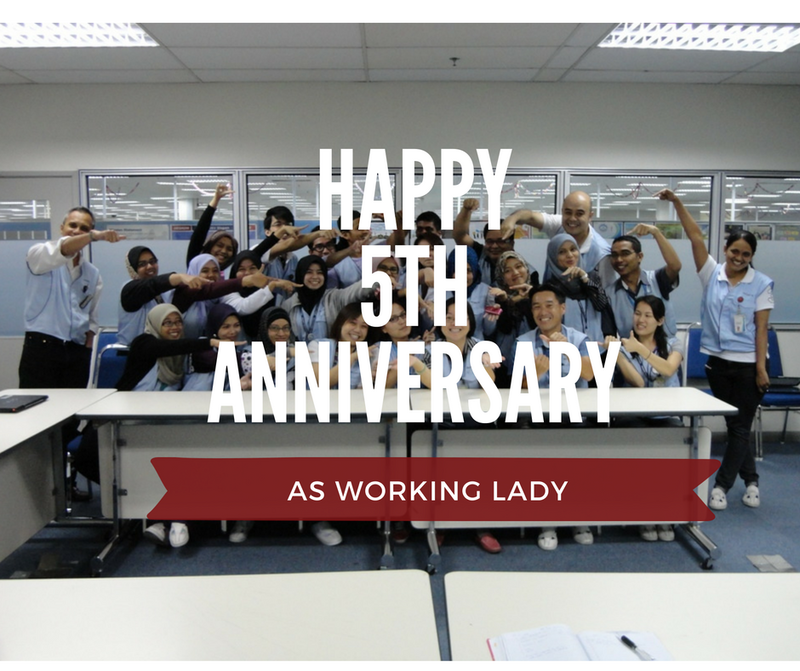 Today is my 5th anniversary as a working lady. I remember clearly on this day, my first day went to work. I’m trying to show my very best confident look and not nervous face but deep inside my heart, I’m nervous like crazy! 5. Keep your expectations low and be ready to adapt starting on day one. My current job is my first job and I got it for my first ever interview. There’s interesting story behind it. You want to know the story? Even if you don’t want to know, I’m going to tell you. Back in 2011(around May ~ July), I just finished my study in Electronic engineering from local engineering university (University Malaysia Perlis-UniMaP).As a fresh graduate, I don’t know where should I go and what to do next? My friends suggests me to try to find job in Penang but I don’t really like Northern side because it’s hot and the road is so narrow(in my opinion) but I love the food. I want go back to my hometown but I don’t feel like I wanted to going back this early. Since I don’t where to go, so I stayed at my sister’s place in Mersing, Johor for time being. It’s good to stayed at home, doing nothing and watching TV and playing with my nephew everyday but I slowly get insecure when all my friends seems get their first job and I’m still jobless and doing nothing. So, I started to ask my friend around if there’s any job opportunity/news. One of my friends asks me to try applying for one training program in KL, so I tried it and luckily, I got it. For that training, I need to attend it for 3 months. But, the training program is quite troublesome (the training always cancel last minute) and I didn’t see clear future in that training but since I don’t have any reason to stayed in KL, I just go for it and at thesame time, I searching for job. Then, I saw ads on Jobstreet.com.my “Walk-in interview in SONY”. Before I started looking for job, I did make a list which company I wanted to work with. One of it is SONY, so after see the ads, my cousin and I decided to give it try. We never been in Bangi area so we lost and almost give up but thanks God, we managed to find where the interview place even though I arrived in the interview place quite late and I don’t wait for so long, I went to the interviewer table and get interviewed there by my first boss Tom-san first then refer me to my first lady boss which is Miss Paw and Miss Maggie. I don’t remember what they ask me but I remember the interview went smoothly. Thanks God! In few days, I got a call from HR company informed me that I got the job and they asked me when can I join? I’m so excited and thankful! It’s my Bachelor degree graduation present from God. So, I asked whether I can join on 3rd October. Because I need to attend my convocation day on end of September 2011. And, they said “Okay, you can!”.Praise the LORD! So, I attended my convocation day first then on 3rd October I reported go to work and start my life as working lady. So, summary of my career journey so far. ➢ The super excited ever Christmas because I can buy presents for my siblings, nephews and my parent.Plus, buy my own flight ticket with my own money!! How wonderful is that. ➢ The year I learned many things like drive my car, technicalknowledge and soft skills, my English speaking. ➢ I think year is my year of working and working, learned until I lost my focus on my long distance relationship with my long time ex-boyfriend so the relationship is begin to shaky and I don’t have good feeling about it anymore. ➢ My first ever business trip to Australia and New Zealand on October 2013. ➢ Then, Hanoi and HCM, Vietnam on November 2013. ➢ On April 2014, I purchased my first DSLR camera; I make myself into photographer and learn from internet or online. ➢ My longest dream came true, I travelled to Korea, I even blessed to go to London, UK for two weeks. ➢ My first wedding photography gig happened this year. ➢ I started joined my church youth community. ➢ Since I was too busy with other things, sometime I lost my focus on my job (feel bad). ➢ I’m thankful for the job and at the same time, I feel blessed for the opportunity that I had. I can bless other people especially my family and others. I can travel to other countries and I work with committed team. I don’t know the future but I will always give my best in everything I do. ➢ Wherever God put you, He had wonderful plan ahead. Along this wonderful and tearful journey, I would like to give thanks to some people that God has sent to my life to help me. My family- Thank you for the prayers and support. My cousin,Amy and her husband – Thanks for send me to the interview and pick up my first car. Lets go for dinner next time. Apui(ex housemate) – One wonderful Kenyah man that I will never forget, he let me use his wifi so I can search for job. Thank you Apui. Tom-san,Ms Paw & Maggie – Thank you for hired me. Karen,Huda,Salmi,Audi – You guys really help me along this journey. Thank you so much from deep down my heart. Aunty – My first house rental owner. Thanks for saying my curry is delicious! Thank you for wonderful Deepavalli food. Marina – Thank you for bring me along to church and being my friend until now so I can feel home and never feel lonely. Wenanda- Thanks for waiting for me when I tumpeng your car. Sorry if I make you wait longer. Thank you for teach me to drive car. Thank you for help me when I need help. Nava- I never forget this kecil2 cili padi lady. She is wonderful lady. She also let me tumpeng her and help me to teman me to drive car. Gogila- Another wonderful lady that I ever met.Thanks for give me Aunty contact so I can stay there. You are wonderful lady so I prayed you will have a good health. Ijan,Kisha,Ija and Maznee – Thanks for being my colleagues, I always be thankful to work with you guys. I will give my best while I’m still have opportunity working with you guys. Victor- My best friend since university.He the one that teman me drive to Cheras to go to church. Irene and Gen- Thank you so much for let me stayed in the house. I can’t thanks everyone for this journey. I know, I will never get through this working lady journey without people that God ever sent in my life. Thank you everyone for being one of the person that shape me today. 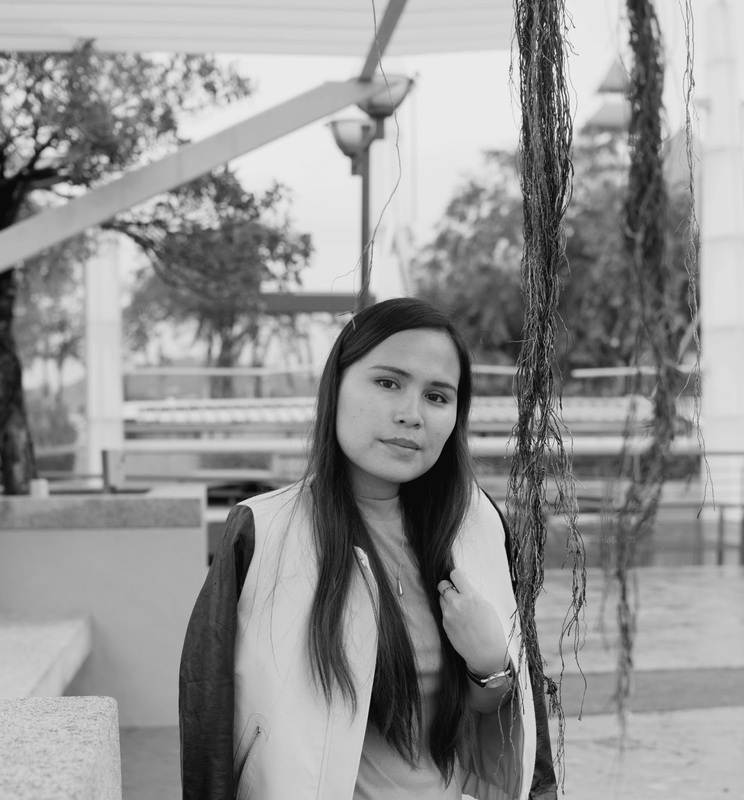 I still have so many thing to learned and I don’t know what will happen in future but I believe in God that I will have bright future, I will still obey despite any life situation and I will loyal until the end of my life because I surrender my life to God. I’m thankful for this opportunity in my life. This is beyond my thinking and never think to have the life I ever imagined when I’m on my 17 years old. Thank you for reading this longest post everrrr…. To celebrate this wonderful and tearful journey, this week I will share articles regarding Modern woman.Modern life.And God, this inspired from my reading. See you on the next article this week. I hope it will inspired you guys as a working lady.